Throughout his life, Rinpoché has dedicated extensive time and energy to compiling and communicating the vast and profound teachings of the Kalachakra Path. This effort has resulted in the creation of a range of books, prayers and practice manuals for students to use as a means of penetrating deeply into the definitive meaning of the Buddha's Dharma. A Happier Life: How to develop genuine happiness and wellbeing during every stage of your life. Regardless of what kind of person you are or how you’ve chosen to live your life, your ultimate aim is long-lasting happiness. A Happier Life is a treasury of wisdom which guides you towards achieving this, point by point, at every stage of life. It journeys through childhood, teenage years, early and mature adulthood and ends with some heartfelt advice for achieving genuine insight and a peaceful departure from this life. At each stage it draws attention to many of the opportunities and obstacles we all face. 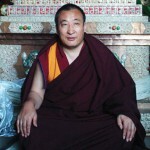 The author, Khentrul Rinpoche, has experienced three completely different lifestyles in his life to date: the primitive nomadic culture of remote Tibet; many years of exceptional and rigorous training as a Tibetan yogic monk and then the experience of a rapid immersion into the very different lifestyle of the modern West. This book is therefore unique, giving a rich perspective on attitudes towards life and living, and is intended as a guide for navigating through the different stages of life. It is hoped that reading it will help you find true happiness and genuine fulfilment, whatever the circumstances of your life. The Kalachakra Path offers a profound method for actualising your greatest potential and for contributing to greater peace and harmony within this world. For the first time ever, this extraordinary path is revealed in a step-by-step manner, allowing students to gradually approach this uniquely comprehensive system in a structured and methodical way. In this first of three books, Rinpoché explores the external reality of our world. Through a wealth of practical advice, he offers a variety of methods for working with the many ups and downs we encounter on a daily basis. He then encourages us to probe deeper into the very nature of our experience in order to develop insight into what is truly important to us and how to make the most of the precious opportunities this life has to offer. 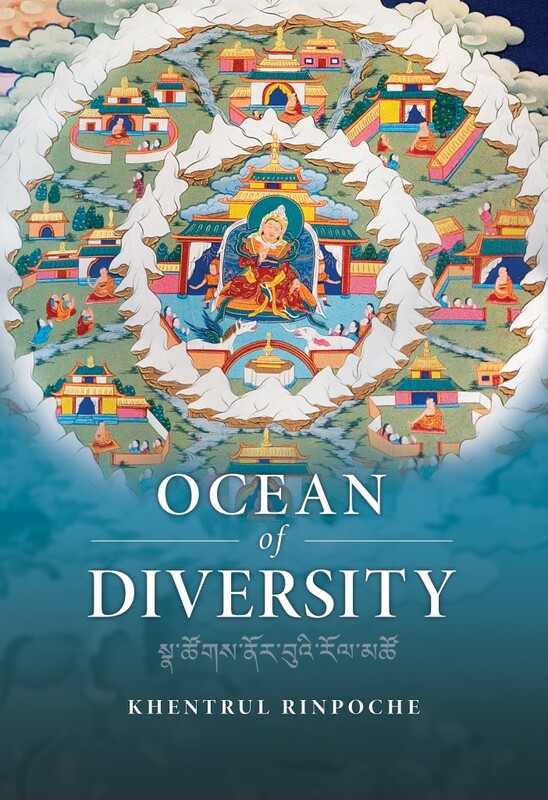 Ocean of Diversity: An unbiased summary of views and practices, gradually emerging from the teachings of the world's wisdom traditions. In a time of particularly strong violence and conflict, whole regions of the globe are engaged in ideological struggles, entrenched within widespread ignorance and fear. How do we free ourselves from this situation? How can we learn to heal our wounds and live in harmony with our neighbours? How can we truly achieve lasting peace and happiness? These questions have been asked by the world’s great sages for thousands of years. From generation to generation, their profound wisdom has formed a diverse range of spiritual traditions, providing ongoing support and inspiration to millions of people. 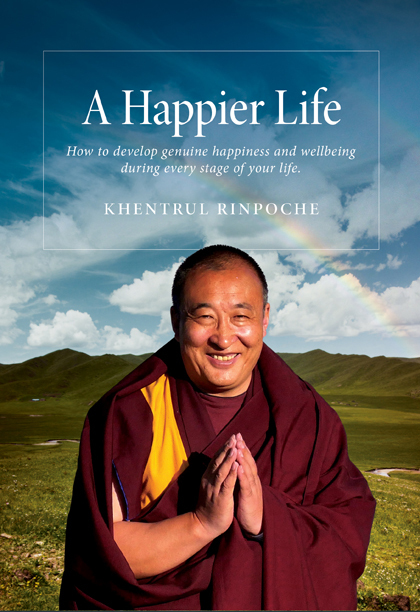 In this book, Khentrul Rinpoche presents a unique set of practical tools for utilising the great diversity of wisdom and methods this world has to offer. By developing an extensive view encompassing this diversity, we can each find a path capable of leading us towards the peace we all seek. By then probing deeper into that path, we can uncover our most profound inner truth. Through this process, we learn that diversity does not have to divide us, but can be a powerful force to bring us together. Each of us is an extraordinary potential for love and compassion, capable of completely transforming the way we experience our world. Through the ancient wisdom of the Kalachakra teachings, this potential can be unlocked to manifest a sublime realm of experience, free from all forms of suffering and conflict. This state of eternal bliss is known by some as Shambhala. 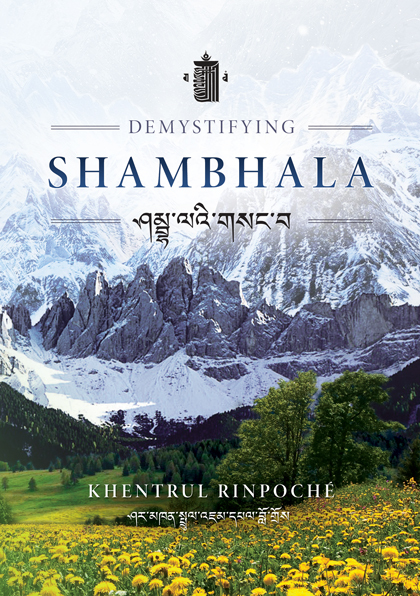 For the first time ever, Khentrul Rinpoché delves deeply into the hidden meaning of Shambhala and why it is so important for overcoming the problems of this world. With great precision and clarity, he dispels the many layers of confusion that have surrounded this often misunderstood subject, while also introducing a profound method for spiritual development, grounded in an unbiased and expansive approach. Representing more than a thousand years of collective experience, the Jonang Masters have faithfully preserved the Kalachakra teachings in an unbroken lineage, granting us access to their profound wisdom, to this very day through this very special book. No matter where you are on your own spiritual journey, these teachings provide an essential map to go beyond all limitation, to realise the ultimate nature of reality. In this second volume, Rinpoché explores the internal reality of our personal experience in a way that emphasises our fundamental nature of love and compassion. 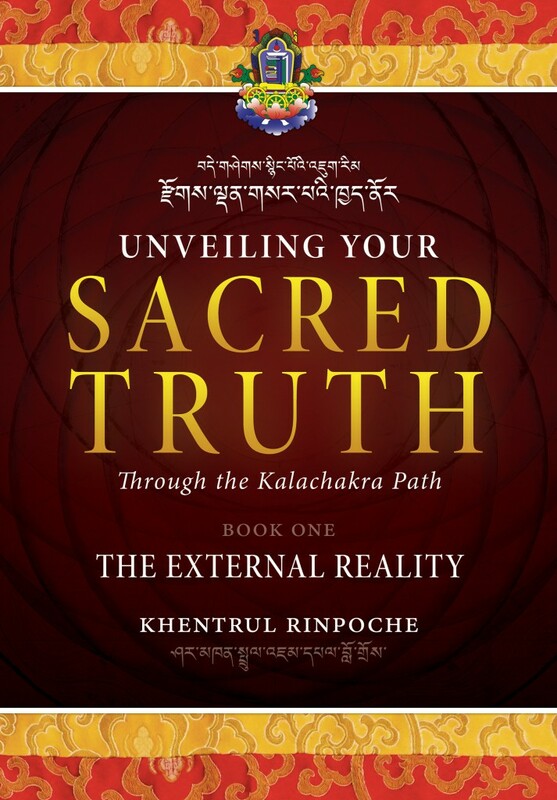 Drawing from a lineage of more than two-thousand years of tried and tested wisdom, he introduces the profound path of Kalachakra as practiced within the Jonang Tradition. 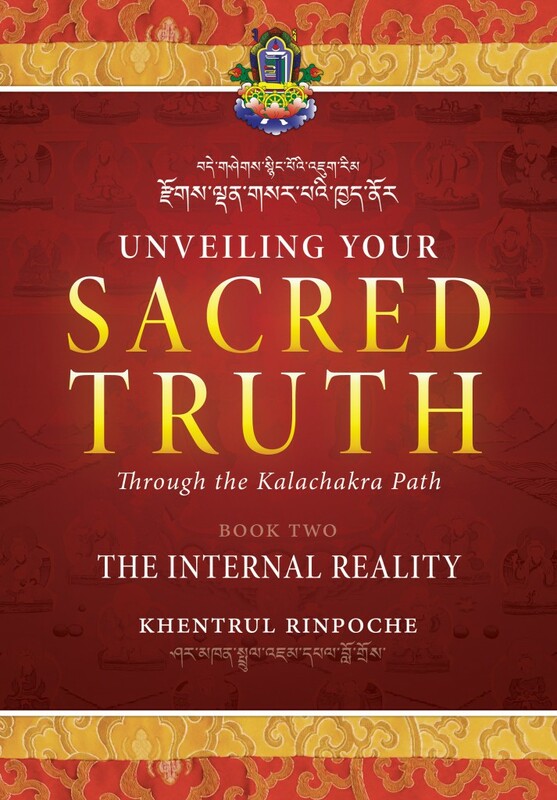 On the basis of this authentic source of refuge, Rinpoché demonstrates how to integrate the distinctive philosophy of Zhentong Madhyamaka to reveal our sacred truth in accordance with the vast teachings of the Bodhisattva Maitreya. 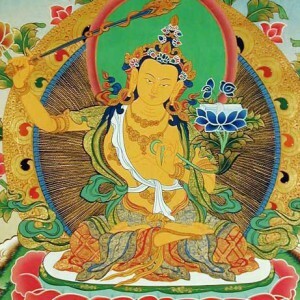 He then provides practical instruction for engaging with the Kalachakra Preliminaries as a skilful means to prepare our mind for the unique practices of Kalachakra Tantra. Despite the attendance of hundreds of thousands of people to Kalachakra empowerments, very few actually know how to put the Kalachakra teachings into practice. 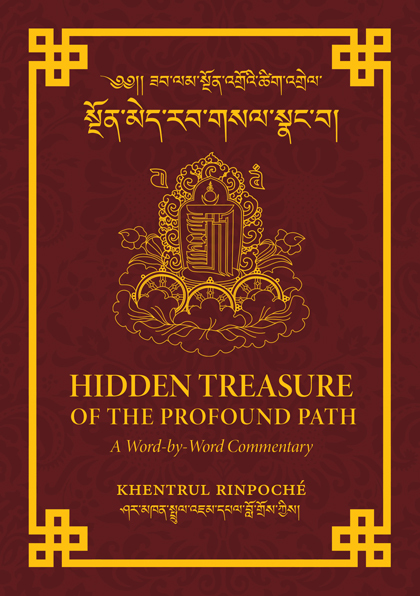 In this direct and clear commentary on Jetsun Taranatha’s classic text “The Divine Ladder”, Khentrul Rinpoché reveals the profound methods used by Kalachakra masters for hundreds of years to achieve extraordinary realisations. Through these practices, you will be guided step-by-step through a process of transformation, allowing you to gradually experience your greatest potential in this very lifetime. Drawing on the unbiased wisdom of the lineage masters from the Jonang-Shambhala Tradition, this book provides you with everything needed to authentically prepare for entering the completion stage practices of the Six Vajra Yogas. 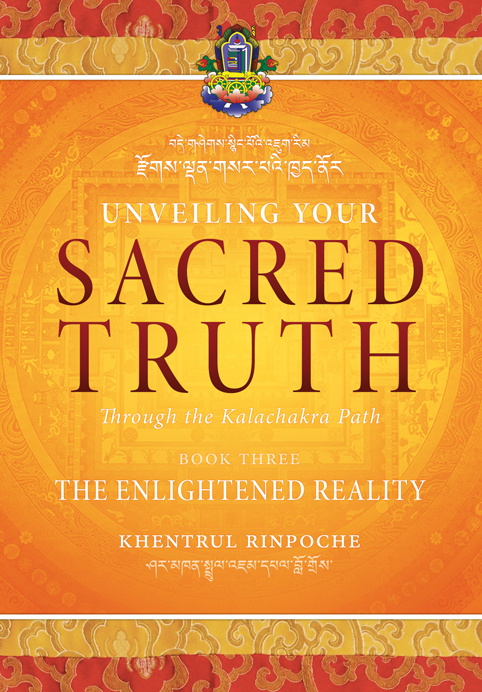 In this third and final volume, Rinpoché introduces the profound methods for revealing the enlightened reality of our most sacred truth. These are the unique teachings of the Kalachakra Tantra that provide all we need in order to achieve enlightenment within a single lifetime. Guiding us to first cultivate an unwavering faith in tantra and the vajra master, Rinpoché clearly presents the theoretical and practical foundations for the uncommon preliminaries of the generation and completion stages. On the basis of these precious teachings you will be well equipped to receive instruction on the sublime yogic practices of the Kalachakra Six Vajra Yogas. Khentrul Rinpoche is a Non-Sectarian Master of Tibetan Buddhism who specialises in the profound practices of the Kalachakra Tantra.